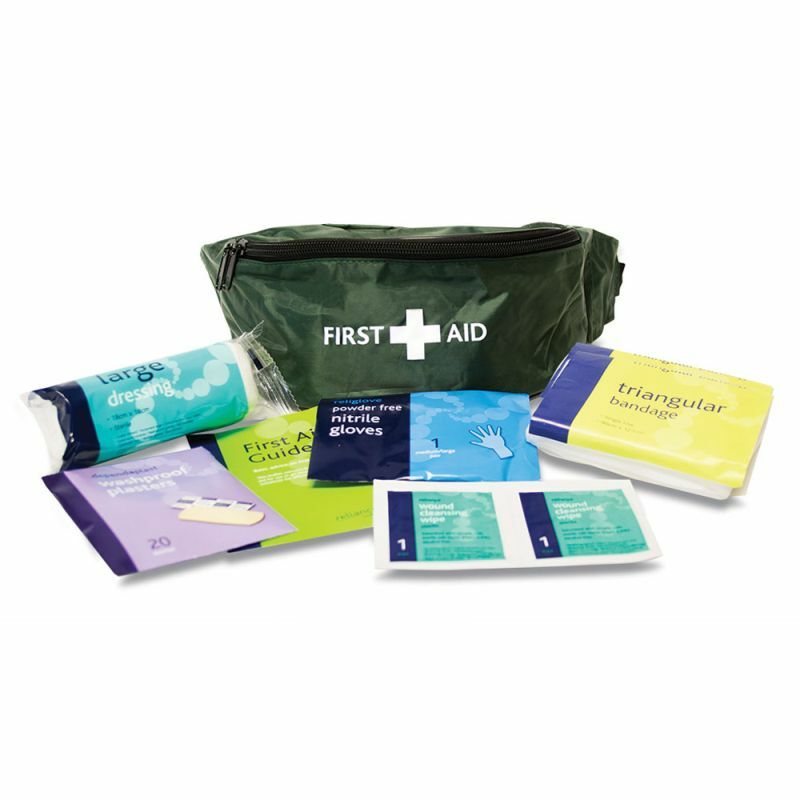 If your appointed first aid person is on their feet a lot of the time, it may be worth investing in a kit that they can keep with them at all times. The Basic HSE One Person First Aid Kit in Rig Bum Bag allows immediate access to first aid supplies as and when they are needed. This kit is ideal for those who are constantly on the move, whether it's retail staff or those frequently travelling offsite. The materials, all approved by the Health and Safety Executive, will equip trained first aiders with the basic provisions they need to ensure any accidents are attended to quickly and effectively. The materials in this kit are stored in a Riga bum bag, with a zip for easy opening and a comfortable, non-restrictive belt. The bag is compact, discreet, and will not appear too visible in public places, making this ideal for a frequent traveller or backpacker. 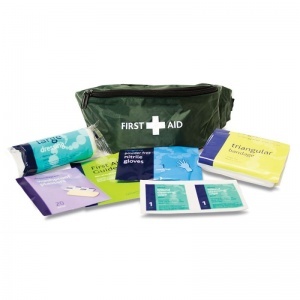 The Basic HSE One Person First Aid Kit in Riga Bum Bag is usually dispatched via First Class Royal Mail and delivery should be within 1 to 3 working days.